Gobgaew Najpinij was a secret source for many famous chefs! She was born in Udon Thani in 1941, studied at the Suan Dusit Finishing School and qualified with a higher certificate in home economics and a BA in food and nutrition. She had a passion for ancient Thai food and loved to pass on her skills. After her retirement from the role of assistant professor at Suan Dust University she was in great demand in Thailand on both TV and radio shows and she worked extensively as a consultant. Her knowledge of Thai food history was immense and she was very generous in imparting this knowledge. She worked on countless freelance projects with an array of people such as Thai Airlines and even the Thai army. She lent her support and cooked with many published authors such as Chef Robert Danhi and Chef Siriyan and her recipes appear in David Thompson’s books “Thai Food” and “Thai Street Food”. David pays a moving tribute to her on the back of the book version of this download. Carole Mason has written this book in her honour and this collection of recipes are as taught to her by Mae between 2005 and 2016. 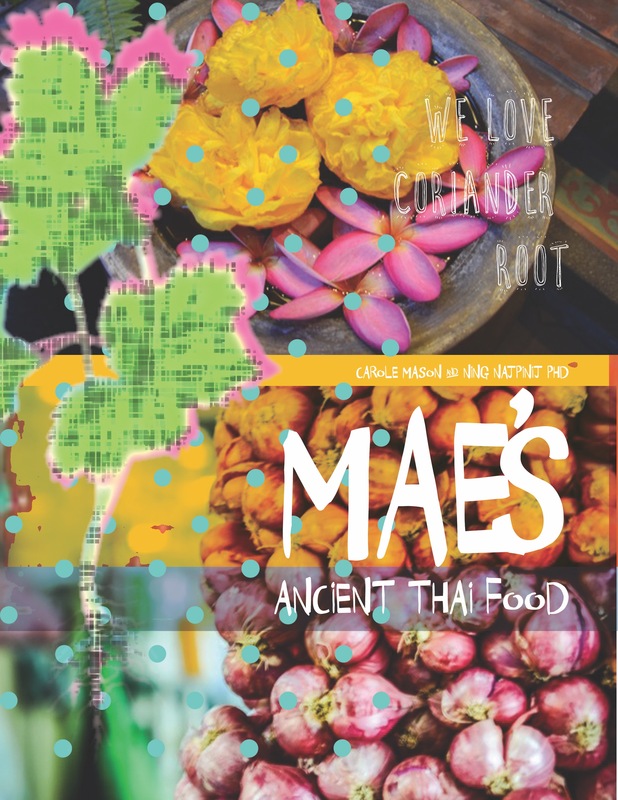 Carole’s personal passion is coriander root and she operates a website called coriander route to promote the root and also runs supper clubs to showcase ancient Thai food cooking. David Thompson said; “Ajarn Gobgaew was an inspiration to so many people by her cooking and kindness. I first met Gobgaew at a food conference two decades ago and her open-minded friendliness made me fall for her winning charms. We became fast friends – more than that as Gobgaew’s unerring taste was a certain guide in helping me learn about Thai food. 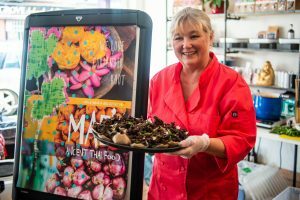 Gobgaew’s death was unexpected – she was writing recipes until the last, indicative of her strength and passion in providing culinary assistance to others. Consequently, Carole’s book is a fitting tribute to Gobgaew’s vocation. It also maintains the Thai tradition of publishing an encomium to acknowledge the deceased. This is for the 200 page hardback book – if you want to buy an ebook version for £5 please go to Amazon.